As one of the leading online casinos and poker platforms anywhere online, PokerStars have a welcome offer to live up to their name, to entice new players to their site. Welcome offers come in all shapes and sizes and have become a staple of the online casino industry. Along with welcome offers, casino bonuses have helped to attract new players. Land-based casinos are very popular, but since they’ve moved online, they’ve rapidly grown in popularity. The online casino industry has become one of the fastest-growing of any out there and this is because of many reasons. Firstly, they’re open 24 hours a day, seven days a week, making them easily accessible to players to enjoy the games from wherever they like. Secondly, it’s an extremely fast-paced industry, with developments happening on an almost daily basis to ensure that the product remains relevant and modern. Another reason as to why online casinos have surged in popularity are because of the sheer choice and quantity of casino games. There’s something for all players at online casinos, regardless of whether they’re table game fanatics who love nothing more than a game of roulette or blackjack, or slot game lovers who get a thrill from spinning the reels. Above all, the main reason why they’ve become so popular is because of the bonuses available. Welcome offers and promotions, regardless of whether they’re used on slots or table games like poker and roulette, have helped to entice new players to join an online casino. New players at PokerStars’ Casino will receive a 100% deposit bonus when they make their first deposit on the site. A first deposit bonus is exactly what it sounds like, with players receiving a bonus from the casino on top of their deposit. 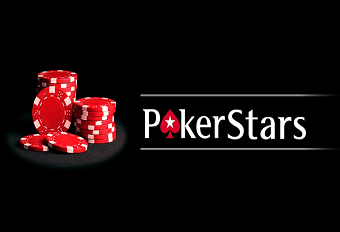 Once you make a first real money deposit at PokerStars, you’ll be rewarded with a 100% bonus up to €400. To qualify for this offer, players must use the bonus code “STARS400” during the deposit process and then start playing real money games and tournaments to earn their cash bonus. To get started at PokerStars, simply download the free software to your desktop or mobile device, click on any of the Play Poker buttons and follow the instructions. Once you’ve done that, you must create an account and make a real money deposit on the site. In addition to this offer, you can make two more qualifying deposits within the first 60 days to get the most out of your welcome bonus. Your bonus is earned as soon as you play real money tournaments and collect VIP points. Aside from the welcome bonus, there are plenty of other promotions at PokerStars for you to sink your teeth into. By clicking on the “Promotions” tab, you can bonus offers available here. There are daily jackpot slots challenges, where players can enjoy some industry-leading progressive jackpot slots, with entry into some great prize draws, to win free spins and reload bonuses every day. All you have to do is opt-in and play some of the games on the site. As is standard with many casinos, there is also a loyalty program to enjoy. One of the most exciting advancements in the world of online casino is the introduction of mobile casino and mobile gambling. Mobile gaming allows players to enjoy all their favourite games and everything that a casino has to offer, whenever and wherever they want. PokerStars have a fully-functioning mobile casino which you can download for both iOS and Android devices. Players can enjoy all the thrills of blackjack, roulette, live casino and slots from their mobile devices, while they frequently add more games to ensure that players won’t get bored. The introduction of mobile gaming has revolutionised the gambling industry and has made gameplay much more accessible to casino-goers. When you accept any promotions, whether it’s free spins, first deposits and other cash prizes, you must check the specific terms and conditions of use for your bonus before enjoying it. There are usually wagering requirements to check before taking part. Wagering requirements are a key factor in any welcome bonus, as you must meet them in order to unlock the winnings from the bonus. These are requirements that you must meet in order to unlock the winnings from the bonus. PokerStars haven’t made it clear on their site about the wagering requirements on their site, however playthrough must be completed within 60 days.